Art of Solidarity - Dibujo de un niño en la preescolar. Dibujo de un niño en la preescolar. The first step of our mural process is to choose a wall that represents a significant building in the community. We chose the pre-school in 2014's project and began with an investigation, talking with all of the people who use the building daily. 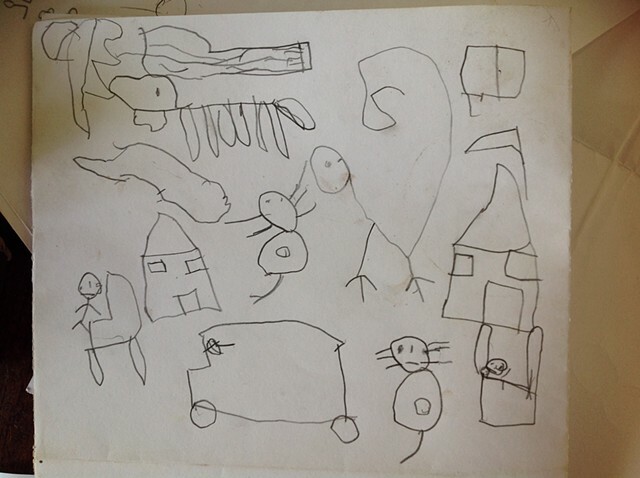 The 3-5 year old children drew pictures for us to inspire our final design.